Most ecosystems and landscapes worldwide are dominated or influenced by human impacts. Consequently, studies of pattern and processes of and within anthropogenic ecosystems and cultural landscapes have to consider human impacts and their historical development adequately. 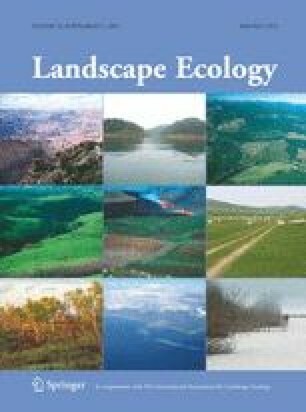 Three major objectives of historical ecology, i.e., the study of human impacts on ecosystems and landscapes over time, can be distinguished: (a) preserving cultural heritage in ecosystems and landscapes, (b) understanding historical trajectories of pattern and processes in ecosystems and landscapes, and (c) informing ecosystem and landscape management. In this paper, the application of these three major objectives of historical ecology is illustrated with a case study on litter collecting—a largely forgotten traditional forest use in Central Europe. Historical analyses do not allow—and should not be misused—to directly deduct management goals, as goals need to be set based on present needs and demands. Still, information on reference condition is relevant in the process of defining goals. Once specific goals are set, historical ecology may advise on how to best achieve and maintain desirable pattern and processes in ecosystems or landscape. The ideas and concepts presented in this paper are based on discussions with many scholars, from whom we would like to especially mention Anton Schuler, Glenn Motzkin, Lars Östlund, Emily W.B. Southgate (Russell) and Niklaus E. Zimmermann.